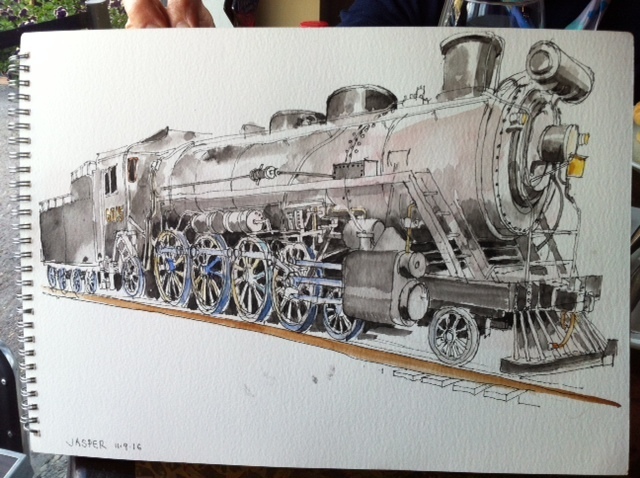 Here’s the latest from Jon Willcocks FSAI – his rendition of a 4:8:2 locomotive. Jon labels the sketch ‘Rocky Mountaineer’ so maybe it’s operated by the Canadian tour company of the same name. Perhaps Jon can elaborate. THE COTSWOLDS IN WATERCOLOUR A Calendar for 2017 by Chris Fothergill Now in its 16th year…another collection of delightful views across the Cotswolds where each month captures the mood of the moment. Each Calendar sold through this website bears a signature by the artist! 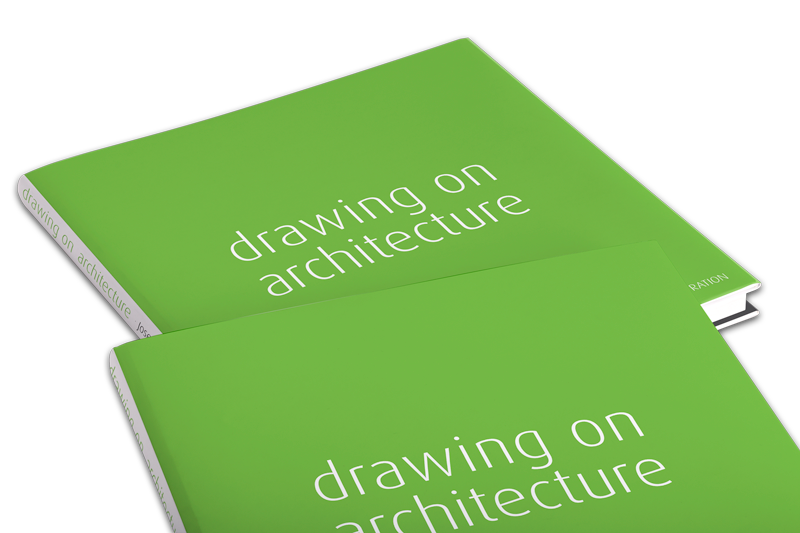 Limited stocks – order now to avoid disappointment! 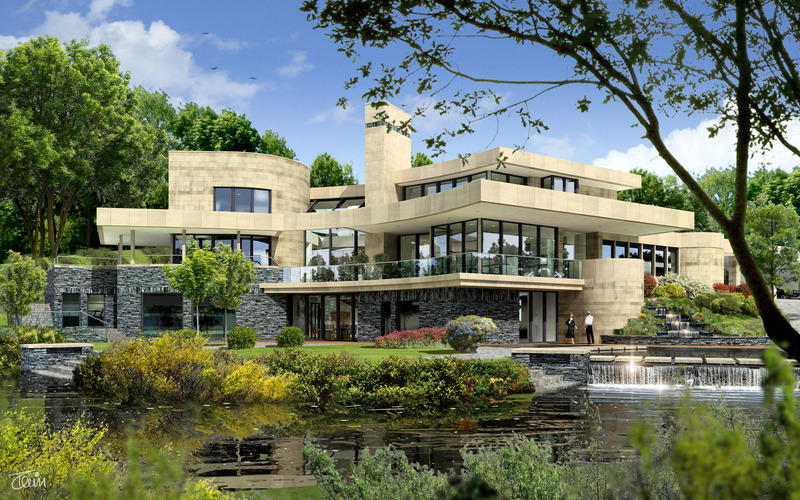 The winner of £25.00 for the May competition on the theme of “A building in a Landscape” is Iain Denby FSAI Here is his lovely fallingwater-esque rendering of a house, well integrated into the landscape. April Competition winner is ….